Watching an episode of The Great British Bake Off (or The Great British Baking Show, if you’re in the U.S.) has therapeutic properties roughly equivalent to sipping a cup of chamomile tea while a kindly older woman prepares lemon scones and hums softly to herself in the next room, which makes it a perfect fit for public television. Here in the U.S., the show is broadcast on PBS in cooperation with its U.K. equivalent, BBC One. But the second part of that equation is about to change, as the BBC itself reports that it’s lost the broadcasting rights for the show. 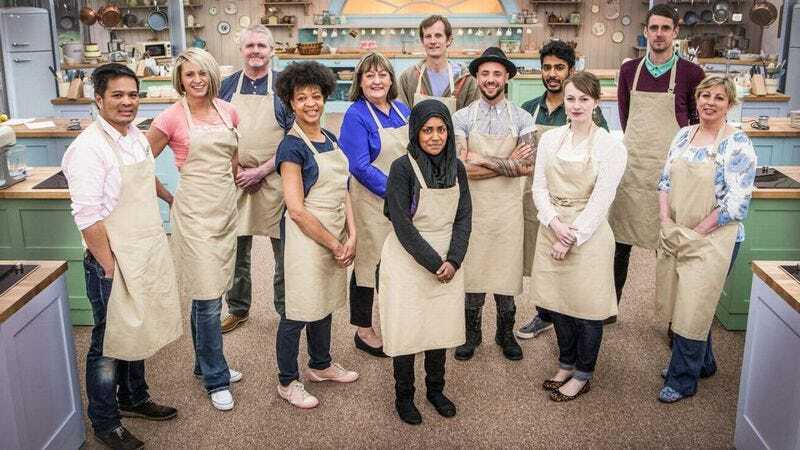 The Great British Bake Off will still be free to watch in the U.K., albeit with commercials, when it moves to Channel Four with Celebrity Bake Off in 2017. How this will affect its airing in the U.S. is unknown, but for the moment, the first season is available to watch on Netflix until October 1.